Coffee and tea are two of the most-favored beverages in the world. Scientific research has found that the two are not only suitable for your taste palate, but they also give you with many health benefits. For instance, regular drinking of tea can help in reducing the risk of heart diseases. Coffee, on the other hand, can lower your chances of getting Alzheimer’s disease. However, the question remains. Which is better, coffee or tea? If you want to know which drink can provide optimum benefit to your health, here’s a rundown of advantages and downsides of the two that you need to know. It’s not secret knowledge that coffee is beneficial to your health. Feel good and be healthy with this list of its health benefits! Studies found that people who drink coffee in the morning do well in learning new information compared to those who are not coffee drinkers. In fact, adults should drink a cup of coffee first thing in the morning as it also improves cognitive function as time passes. Coffee improves memory and cognition because it has caffeine that enhances sustained attention, especially if you combine it with sweets. When uric acid starts to build up in your blood, it causes your joints to have a deposit of uric acid crystals that results in terrible joint pains. However, experts say that the more you consume coffee, the lesser the chances you have of having gout. According to a study, drinking four cups of coffee in a day can lower your risk of having gout by 40 percent. Liver cancer is one of the common types of cancer in the world and among the top diseases that cause death worldwide. 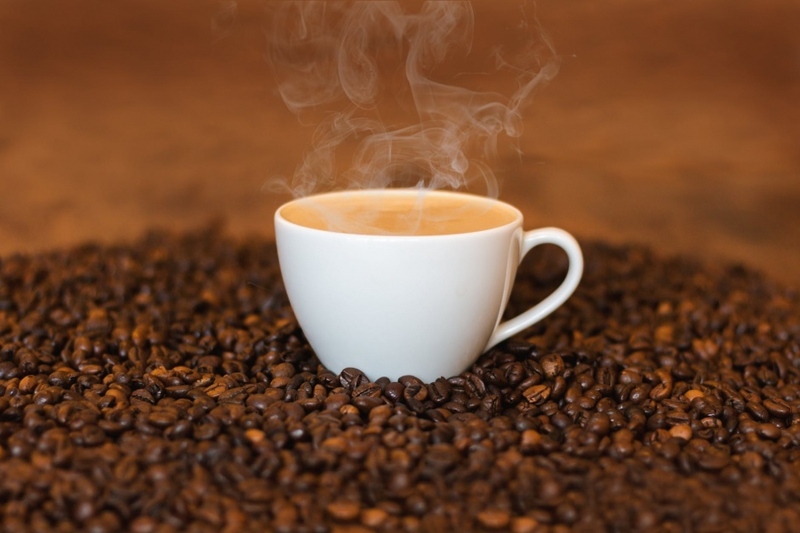 Coffee can be a great help in preventing liver cancer. Consuming one cup every day can result in minimizing the risk of hepatocellular cancer by 20 percent. Despite its health benefits, there are some downsides to drinking coffee. It’s essential that you know them if you’re seriously taking care of your health. It’s a fact that drinking coffee can result in the loss of calcium through urination. Getting rid your body of calcium is a bad thing as it can cause weakening of the bone structure and osteoporosis. In every drink of six ounces of coffee, your body excretes around five milligrams of calcium. However, you can counterbalance this calcium loss by combining coffee with two tablespoons of yogurt or milk. Since coffee has a natural stimulant called caffeine, it may trigger symptoms of anxiety, especially to people diagnosed with it. Thus, you should make sure that you minimize or eliminate drinking coffee if you have this. Drinking coffee may cause tooth discoloration and enamel breakdown because this drink contains tannins and acids that can stain and ruin your teeth. As previously mentioned, coffee is an acidic beverage. Due to its high acid content, it’s likely that it can cause stomach issues, especially if you have a weak digestive system. Pregnant women can only take a moderate amount of coffee a day. If you’re pregnant, you can consume one or two cups daily, and not more. It’s because coffee is bad for the fetus and can increase the risk of miscarriage. Coffee has high levels of cafestol which can cause the increased production of bad cholesterols in your bloodstream. So if you’re controlling your cholesterol levels, you should consider minimizing your coffee consumption. Tea has been a favorite drink not only today but even centuries ago. Why not? There are positive health reasons why people should consume this beverage. Here’s a list of health benefits that you can get by drinking it. Consuming tea can do wonders in relieving your stress and making you calm. In fact, in countries like China, drinking tea is part of a tradition. Most Chinese believe that tea can provide a person with a peace of mind. If you want to improve your heart health, you should consider drinking tea every day. Scientific data provide us with proof that tea can lower your risk of having a heart attack by 20 percent and stroke by 35 percent. A lot of experts has touted green tea because of its medicinal properties that can prevent bone loss. It contains calcium, vitamin A, and iron that strengthens your bones. Consuming tea in a day is as good as water in rehydrating your body, especially after intense physical exertion. So, after a workout, you can drink tea to replenish your body. Types of tea such as tulsi tea have anti-fungal, anti-bacterial, and anti-inflammatory properties that can help strengthen the immune system after an illness or injury. It can also harmonize your immune cells so that they can do their job of protecting your body efficiently. There are also disadvantages of consuming tea. However, the list of cons is not as long as drinking coffee. The same with coffee, tea can also result in the discoloration of your teeth. Thus, if you’re a tea lover, you should consider gurgling water or brushing to wash away those stains from your teeth. The production of tea may include using harmful chemicals such as pesticides that can be detrimental to your health. So you should make sure that your drink is 100 percent organic to prevent yourself from food poisoning. Was the question answered by the list above? Is coffee better than tea? It’s undeniable that the two drinks boast of a myriad of health benefits, but tea is better than coffee because it has fewer disadvantages than the latter. Nevertheless, the two are still good drinks to have to indulge yourself.